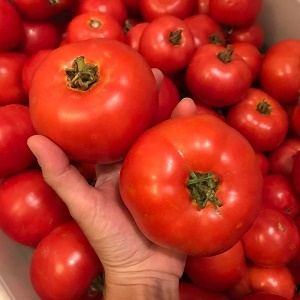 Dallas area of Texas Dallas area of Texas U-Pick farms: Find a pick your own farm near you in Dallas area of Texas for fruit, vegetables, pumpkins, organic foods,local produce and more! Looking for a local, pick-your-own farm in Dallas area of Texas? Scroll down this page and you will see the U-Pick farms in Dallas area of Texas, sorted by county. Those that offer organic or sustainably grown produce are identified by the words "organic" and/or "sustainable" in Green, next to their name (see "What does Organic mean?"). The U-pick crops they offer follow the name of the farm. To search the page for a specific crop, use Ctrl-F (or on an ipad or Mac, use their "search on this page" function) If they have a website, the name will be in blue and underlined; click on it and it will open their website. If you find anything outdated or inaccurate, see the customer and farmer menus (as appropriate) at the top menu bar to submit updates and corrections and help me keep each current! Hand Picker, Hand Rake, Food & Water, Small Wagon, Good Humor! A 5gal bucket will weight +_20lbs. Please note: Rakes, Pickers and Bottled water available upon request if available. 3295 Union Hill Road, Sanger, TX 76266. Phone: 940-458-7234. Email: [email protected]. Open: Check their website in early June; Tuesdays from 5 to 8 pm and Saturdays from 8 am to 1 pm. Directions: Exit #478 from I-35 and drive east on FM 455 for approximately 3 miles. Turn left (go North) on Union Hill Road for 1.1 miles. We are the last driveway on the left. Click here for a map and directions. We use natural practices, but are not yet certified Organic. Payment: Cash, only. We welcome families and small groups, HOWEVER we do NOT have any picnic facilities nor public restrooms. You should plan to pick your fruit, pay for it, and then go along your way. Our price remains at $3 per pound for 2017. See you then! 6920 Fall Creek Hwy., Granbury, TX 76049. Phone: 817-910-9232. Email: [email protected]. Open: Call for picking times. Directions: 2 miles south from Acton on Fall Creek Hwy. (Hwy. 167) Crops are usually available in March, April, May, July, August. Payment: Cash, only. Home of the world's largest armadillo named "Killer". More than a million people saw Killer when it was the centerpiece in Six Flags' Best of Texas exhibit in 2002. We do practice organic methods, but are not certified. Click here for a link to our Facebook page. Spring Strawberries - we have a giant two acre patch of more than 17,000 Chandler and Sequoia plants.In the summer we have Peaches; 10 acres and 500 trees of delicious, juicy peaches. It has been said that nobody can resist sampling the Fall Creek Farms peaches while you're picking. Get away from the hustle and bustle of the city and come to the country. An afternoon trip to Fall Creek Farms is fun and memorable experience for the entire family. 9100 Colony Road, Tolar, TX 76476. Phone: 817-559-1394. Email: [email protected]. Open: Does anyone have current information, are they still offering pick your own or are even open? If so, please write me, See their website for current hours. Click here for current open hours, days and dates. Directions: Take Highway 377 to Tolar, Texas, which is located between Granbury and Stephenville. At Tolar take Highway 56 North. Go 1.5 miles to Colony Road. Go west on Colony Road to the first house on the right. Click here for a map and directions. Crops are usually available in May, June, July, August, September, October. We use natural practices, but are not yet certified Organic. Payment: Cash, only. Homemade ice cream and fresh produce can be purchased in downtown Tolar on Highway 377 during seasonal periods. See website for further information. NOTE: Their website is over a year out of date. The ownership has changed. While the previous owner says the new owners are running the farm as PYO, there is no contact info that I can find anywhere. A visitor writes on April 12, 2018: "Owners were very friendly. This place is right off Business 69. The farm is very well kept and the strawberries were beautiful. 1 Bucket = $1 1 Pound =$5 "
616 Orchard - Peaches, plums, nectarines UPDATE: May 1, 2017: I suspect they have closed permanently; their website is gone and there is nothing credible about them on the internet. 4214 CR 616 Alvarado TX 76009. Phone 817-453-4443. Open: Saturday's and Sunday's 2 pm to 7 pm weekdays (by appointment only), June through mid October; Please call ahead before you come to see which fruit is in season. Directions: The orchard is 4 miles SW of Mansfield, Texas. Welcome to the 616 Orchard! The 616 Orchard is nestled on fifteen acres, approximately four miles southwest of Mansfield Texas. When in season we have several varieties of peaches to offer to the public. The 616 Orchard is a pick your own fruit farm, and is great for families, individuals, and groups to come out to the country and pick fruit. There are directions to the 616 Orchard on our website! There is a map builder and route planner to the 616 Orchard on the website! ! Walls Family Farm - pick up your own Pecans, Choose-and cut Christmas trees, hayrides, picnic area, wreaths, food and drinks, campfire, gift quality pecans (shelled and in shell), firewood and landscape material, Free shake and bale. Comments from a visitor on December 11, 2011: "Hi there! My family and I took a drive out to the Walls Family Farm outside of Terrell. Their website is a great resource. I found hours (accurate) and current crops (Christmas trees and pecans) at the site. We went out for pecans and found a great experience! Very country style, warm, inviting experience. They offered us a cup of free coffee or cider on arrival. In the main "store" they have "gift" quality pecans which are whole pecans fully shelled, no pecan pieces. Those are $7/lb. If you want in-shell pecans they are $2.25/lb for full shell and $2.50/lb for cracked pecans. We went with cracked since it was late in the day and we wouldn't have time to pick. Pick-your-own are $1/lb. There is no admission fee and you can stay all day. Also inside the store is a little snack bar. Cookies and pie (individual size) are $1 and hot dogs are $1.50. They have cut-your-own Christmas trees for $6/ft and will give you a free hay ride to either the pecan orchard or the Christmas tree orchard to pick your produce. The people are great - very nice. They also have a number of friendly dogs that roam the property and are totally kid friendly. They also have picnic tables out by the parking lot with fire pits so you can bring a picnic or eat some or your pick. They have blackberries as well in the late spring. Thanks for the tip! I hope this information helps for the site!" Comments from a visitor on December 03, 2011: "We have been to this farm for the last four years and love it. Several fields of trees to search through. At $6 per foot they are a great value too." 380 Fm 416, Streetman, TN 75859. Phone: 903-229-3427. Email: [email protected]. Open: call before you come. Directions: From I-45 take exit 229 (Highway 287) South east towards Palestine. Travel past Richland Chambers Lake. At the dam to lake turn Right onto road 488. Turn right onto FM 416. We will be approximately 2 1/2 miles down on right. Blue & White Building. Click here for a map and directions. Payment: Cash, Debit cards, Visa/MasterCard, Discover, AmEx. Click here for our Facebook page. 1840 S Bosley Rd, Santo, TX 76472. 275 Salesville Road, Mineral Wells , TX 76067. Phone: 940-325-4012. Email: [email protected]. Open: Monday - Sunday. Directions: North of Mineral Wells highway 281 North turn on Salesville road and go to 275 Salesville Road Please Call before you come. Click here for a map and directions. Mid June to July. Payment: Cash, only. 3157 County Road 411, Glen Rose, TX 76043. Phone: 254-897-4517. Alternate Phone: 254-396-5866. Email: [email protected]. Open: June - August Tuesdays, Thursdays and Saturdays Call before you come to make sure we have crops to pick!. Directions: from the Glen Rose Square. Go South on highway 144 Turn left on highway 56 Turn left on CR 411 This road goes straight, then gets curvy - You will cross a low water crossing, and go up a hill. You will pass the entrance to Riverbend Retreat Center. Our gate is the 2nd gate on the left after you pass Riverbend. Click here for a map and directions. Blackberries: June-July Tuesdays and Thursdays 10 to 2 Other days and times might be available as the harvest is more abundant; Tomatoes: June-August Same as above; Figs: July. Payment: Cash, Check. Always ask for: Farm fresh eggs Pastured Chickens (whole, in freezer) Candles with true essential oil made right here at the farm. Lavender Mint Lemonade Tea Bags. We use natural practices, but are not yet certified Organic. Comments from a visitor on April 29, 2011: "Just an FYI - this farm is alive and well and growing healthy apple and peach trees. It is a great place for taking children to learn about sustainable gardening and farming. " 418 County Road 2788, Sunset, TX 76270. Phone: 940-427-2609. Fax: 940-427-2609. Email: [email protected]. Directions: From Fort Worth - North on I-35W to Hwy 287 Exit. Continue North on 287 to the Alvord Exit (Business Hwy 287). First blinking light is F.M. 1655. Turn right at blinking light and continue due east for 3 miles to County Road 2788. Turn left on County Road 2788 and continue for 2.5 miles. Farm is on the left. Click here for a map and directions. Crops are usually available in October. Open: Closed until September 15 then open until October, weekends only: Saturdays 9:00am - 6:00pm and Sundays 12:30pm - 6:00pm; Call for availability. We use natural practices, but are not yet certified Organic. Payment: Cash, Visa/MasterCard. Cut Flowers - Tulips and Lavender in Spring. Zinnias in Summer and Fall.